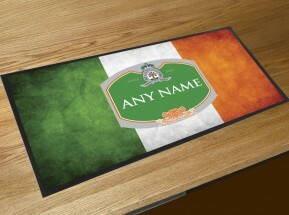 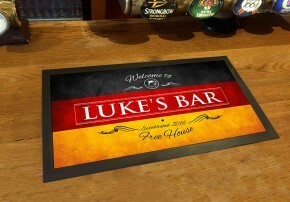 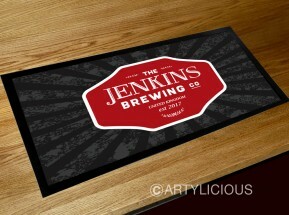 Our personalised bar mats are a practical and smart way to keep your home bar and counter tops free from spillages and damage, and can be personalised with your name or bar name on. 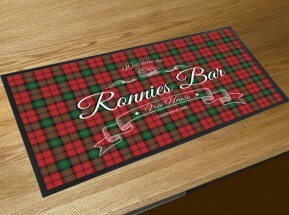 They are extremely durable and sturdy, printed onto a heavyweight bar runner that stays flat and doesn't curl up. 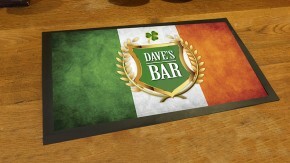 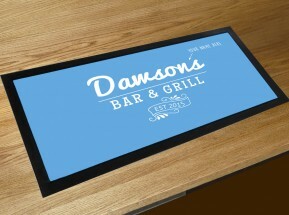 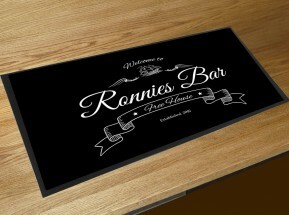 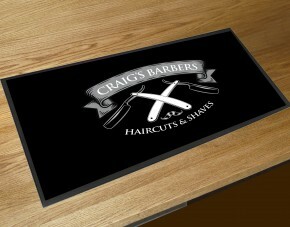 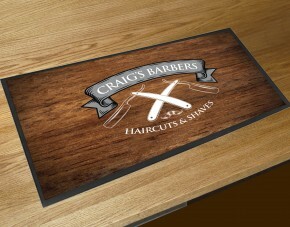 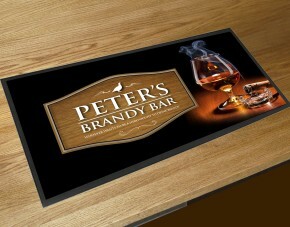 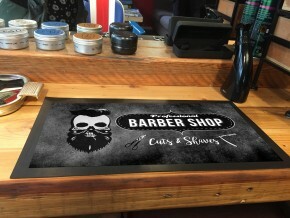 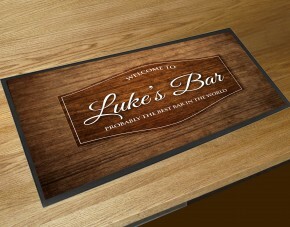 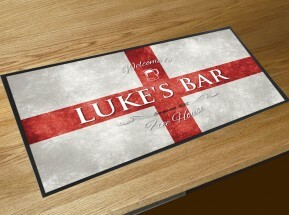 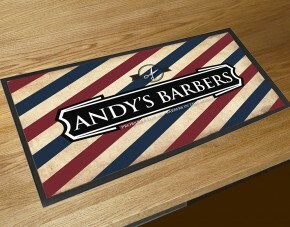 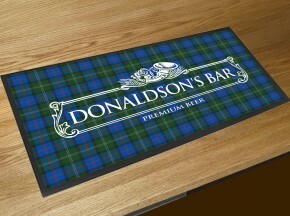 We have printed Bar runner mats for Hotels, Bars, pubs, cafes, barber shops, ice cream vans, hairdressers, gyms and florists. 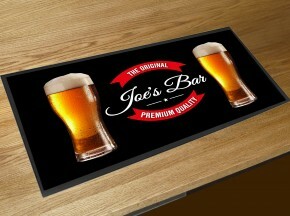 You can either send us your high resolution logo to print on to make a brand statement or simply choose one of our designs and have your company name on. 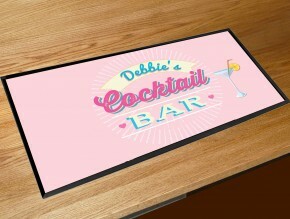 The bar mats we print on are white so we can print any background colour on.